Eleven years ago, Robert J Davis, a noted health journalist, and Loren Goldfarb, a former network television producer, realized that the millions of TVs in medical office lobbies and waiting rooms could be a compelling delivery platform for well-produced medical content. After all, the healthcare field is a multi-trillion dollar market and incredibly competitive. In place of cable news or daytime game shows, the team knew they could offer informative content tailored to individual healthcare practices. To meet this need, they launched a medical content company called Everwell in 2007 and began production of a health video library. Hospitals, medical groups, and medical practitioners signed up and received a media player pre-loaded with all of Everwell’s videos along with software that allowed each practice to insert their own information. As the number of subscribers and demand for their content grew, Loren Goldfarb, Everwell’s COO, realized that his production workflow had to adapt quickly to keep up. The initial workflow included a large, on-site media asset management server and storage. Everwell’s library of more than 600 videos is delivered to healthcare offices across North America with personalized information that helps keep the patient well-informed. The system worked for several years, but as the amount of raw footage grew and the file sizes increased (720p to 1080 to 4K), the strain on their asset management system began to show. Everwell’s content producers and editors needed to work faster, and increasingly from remote locations. Having to travel to the main office to check content into the media asset manager in the main production office now became a critical bottleneck. Traditional, site-focused media asset management systems assume that all users are in the same location, and trying to give access to remote users with VPNs and firewall navigation proved frustrating and time-consuming. Instead, remotely located producers resorted to shipping hard drives directly to editors, bypassing the asset manager system altogether. Raw content was extremely vulnerable while being shipped around on hard drives, and finding and re-editing fresh content from original source files was not practical. Content was becoming disorganized and hard to find. Loren knew that installing servers and storage at every remote production site was not an option. Loren realized that traditional broadcast, site-focused asset management solutions weren’t working; he wanted to break away from having to manage on-site storage systems and the continuous maintenance, upgrade and replace cycles. What he really wanted was to deliver a modern, collaborative solution that kept his productions moving smoothly and could adapt on the fly to new producers and editors, keep his content organized and protected, and above all, let his team focus on creating great content. With these requirements in mind, Loren began reviewing available asset management solutions, discarding one after another until an integrator proposed a combination of Cantemo’s iconik and Backblaze’s B2 Cloud Storage. Loren learned that iconik is an entirely new and modern approach to delivering asset management and production collaboration as an on-demand service. Instead of on-site servers and specialized software installations, Everwell’s new asset management service would use powerful cloud application delivery technologies available to all of his users instantly, wherever they had access to the internet. As a cloud-delivered service, iconik would give Everwell entirely new capabilities like cloud-based proxy rendering that could scale up to any need instantly, and access to powerful artificial intelligence tools to help tag, enrich, and search across his entire store of content. Now, even remote producers could ingest content into iconik. As soon as content was added, iconik’s cloud-based compute resources would then capture the files’ asset metadata, generate proxies, then seamlessly store the content in Everwell’s Backblaze B2 cloud storage account. Everyone on the team would have immediate access and the production process would get much simpler and far more efficient. Loren found Backblaze B2 cloud storage to be the ideal storage to protect his valuable content and appreciated that it was perfectly integrated with iconik. Backblaze’s combination of extremely high file integrity, instant availability, and dramatically lower cost than other leading cloud storage solutions, meant that he no longer had to manage production asset archive storage — he could move entirely to the cloud. This was the seamless, real-time solution that he had envisioned, with all of the benefits of a truly cloud-delivered, and cloud-enabled solution. Both iconik and Backblaze services could be started up in minutes and the pricing was inexpensive and transparent. He would never pay for services or storage he didn’t use and could phase out his on-site servers. Having found the way to meet his team’s needs and deliver his technology pivot to his production team, Loren had a new challenge. How could he migrate the enormous library of raw material and existing asset metadata without impacting production? To jump start their new project, Everwell signed up for Backblaze’s B2 Fireball Rapid Ingest Service. As part of the service, Backblaze sent Everwell a 70TB storage system that Loren connected to his local network and began copying his content to it. Meanwhile, Loren’s team exported the metadata records from his existing asset manager system, then with a simple script and iconik’s API, automatically created new placeholder records in iconik with all of that metadata. He then shipped the Fireball back to Backblaze, where all of the content was uploaded directly to his Backblaze B2 account. iconik could then scan and identify the content and link it to the existing iconik records. The result was an extremely fast migration of his existing content archive to his new cloud delivered system, ready for immediate production. Rather than uploading across the internet, large amounts of content can be copied to a Fireball system so that Backblaze can move the files directly into the customer’s Backblaze B2 storage. Finally, iconik links the source files in the B2 storage with the placeholder assets. With his new solution in place, Loren’s production team now has extraordinary new capabilities and creative freedom. He is free to add new editors and producers on the fly, at a moment’s notice, and let them instantly ingest new content from any location and use a single interface to keep track of every project in his expanding asset library. His team can use new AI-powered discovery tools to find content quickly and can always access the original raw source files to create new videos at any time. He has more time to add new features to his service and take on new productions and customers at any time. Best of all, he is now free to grow Everwell’s production operations as fast as possible without having to worry about running out of storage, managing servers, expensive maintenance contracts, or paying for staff to run it all. Having made the cloud production pivot, Everwell is ready for whatever the future brings. Everwell is a healthcare focused digital media brand dedicated to creating accurate, engaging video content that helps people lead healthier lives. 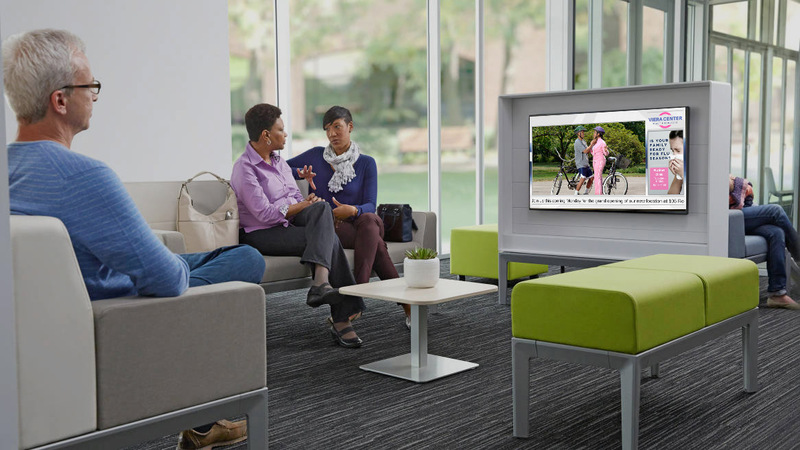 Everwell’s continually growing content library of more than 600 videos is made available to license and is part of the Everwell+Plus digital signage subscription service used by health care facilities and providers across North America. Backblaze B2 Cloud Storage has become the cloud storage of choice for content creators by offering extreme levels of content protection and instant availability at one-fourth the cost of the largest cloud storage solution. At only $5 per terabyte per month of content stored, creatives can finally get all of their content into a truly active archive, streamline their production workflows, and phase out expensive, hard-to-manage tape and near line archive systems. Backblaze has over 10 years of cloud storage innovation and growth and manages 700 petabytes of storage for its customers worldwide. Your content is stored with a data durability of 99.999999999% (11 nines) uptime and covered by an SLA. There are no pricing tiers, hidden costs or storage minimums. You simply pay $.005 per gigabyte for content you actually store per month. There is no charge to move content into your Backblaze account, and costs only $.01 per gigabyte to download, or at no charge to use with leading cloud services like Cloudflare, Packet, and ServerCentral. Backblaze’s Fireball Rapid Ingest Service is ready to help get content into your account quickly. Use your favorite workflow tools that are seamlessly integrated with Backblaze B2, the web interface, command-line utilities, or the Backblaze API.